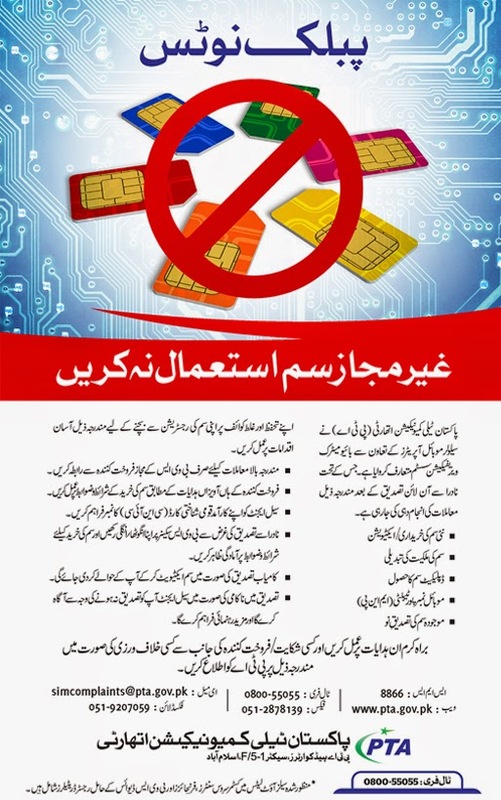 A final decision has been made where all stakeholders, cellular companies, Interior Ministry, Ministry of IT and Telecom and Pakistan Telecommunication Authority have agreed to re-verify SIMs with biometric verification system with-in next 90 days and block all unverified SIMs after the deadline is met, we have confirmed with sources. 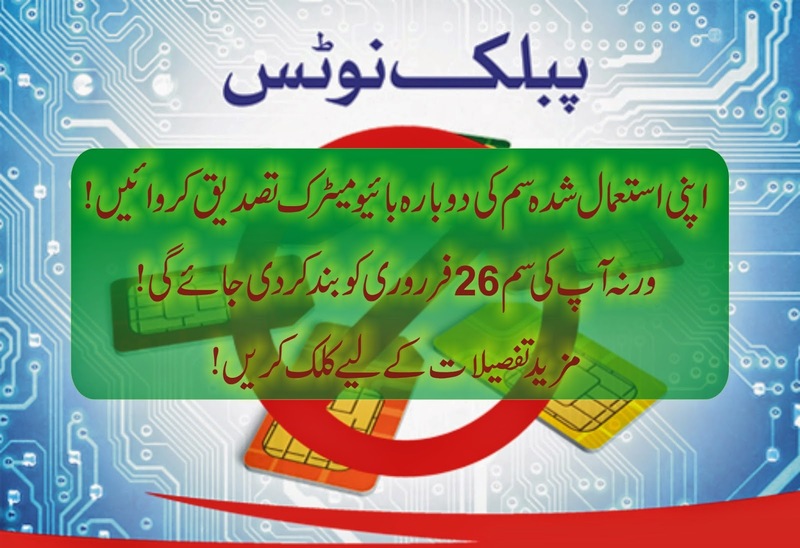 Interior Ministry had initially asked telcos to re-verify SIMs in 28 days, while cellular operators had proposed 11 months for the reverification process to get completed. After the deadline, remaining un-verified numbers will be blocked, the official added. 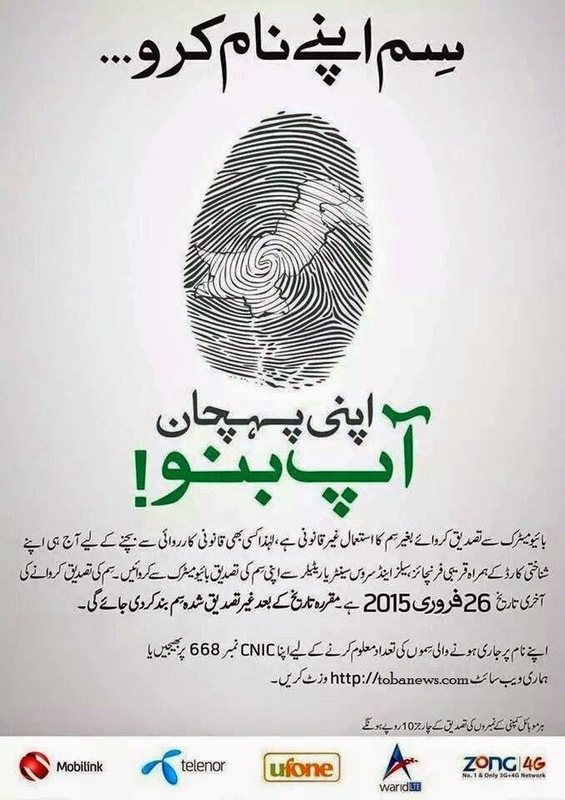 The process for re-verification of SIMs is starting from coming Monday, i.e. January 12th, 2015. Telcos had estimated that some 40% of all active SIMs might get blocked after the re-verification exercise is completed, however, that was for 11 months’ deadline. With the deadline squeezed to just 90 days now, the number if SIMs that will get blocked due to non-verification may be significantly higher. 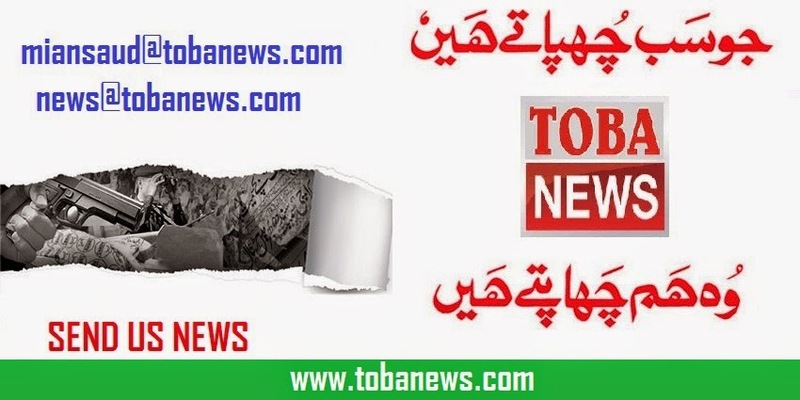 First phase will start from January 12th, 2015 till February 26th, 2015. SIMs to be Blocked after First Phase: On February 27th, all un-verified SIMs from above list will be blocked. SIMs to be Blocked after Second Phase: On April 14th, all un-verified SIMs will be blocked.